5 hours a day (8 am -1 pm) with 30 minute break, 5 days a week. 7 days, 3 meals included, private room, or shared bathroom. Films, salsa classes, conferences, Guatemala history lectures, cooking classes, hikes, local area excursions, private guided excursions on the weekends. Transportation and entrance fees are an additional charge. * Pricing in US dollars and will fluctuate according to exchange rates. Please note: Due to the Guatemala government’s change in banking regulations, the school accepts payments in Quetzales or credit card. Also, the Guatemala government only allows a tourist to exchange 500 USD/EUROS per person per month. We suggest you have a separate checking account in your home bank with travel money. There are many ATMs in Xela where you can withdraw cash in Quetzales and avoid the currency exchange restriction. Banking fees may apply. If you insist on bringing cash, the Guatemala banks will only accept 100 dollar bills, which are new. Do not bring anything smaller than $100 and in excellent condition. Homestay with a local family for seven days includes 3 meals a day (breakfast, lunch, dinner) plus a room of your own. They will accommodate special diets (vegetarian, celiac, vegan, etc.) Please let us know during your registration process if you have special dietary needs. If you arrive or start school mid-week, costs are calculated accordingly. Special arrangements are available upon request. The following dates are holidays in Guatemala and the school will be closed. If any of these holidays fall during the week (Monday – Friday) the payment will be the same as a regular week of classes, no discount. This is due to Guatemala labor laws that stipulate holidays must be “paid holidays”. Graduation certificate as proof of your study for your local university, employer, etc. 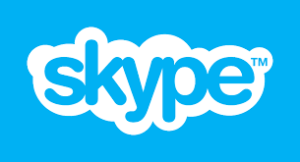 Payments for Skype classes are done through PayPal and can be with US DOLLARS . Please contact us directly to reserve your spot!